Making money online has just got easier with the emergence of TopBuzz. Topbuzz is an online money making platform that enables you to earn cool cash by creating and posting articles, gifs and uploading videos. Topbuzz is very similar to Youtube, but not quite as popular. It’s still relatively new and this gives you a perfect opportunity to earn from it before the platform becomes saturated. TopBuzz content creators who put in serious effort stand the chance of making as much as $40-$100 everyday, provided your contents go viral and get a lot of views. Earnings can be withdrawn via Bank transfer or Paypal. For content creators who are non USA residents, Paypal is the preferred option for withdrawing TopBuzz earnings. Visit www.topbuzz.com and click on any of the sign up options available. Alternatively if you have been referred by a registered TopBuzz content creator, you ae both entitled to a bonus. You can also sign up by downloading the TopBuzz app from Google Playstore on your Android phone. After signing up successfully, log into your dashboard area and click on the “Me” icon. Click on the video icon to start uploading your videos. After setting up your profile, go to settings under earnings tab and set your preferred payment option. For TopBuzz content creators from African countries or India, I would advise you choose Paypal instead of bank transfer. You can upload videos directly from your Youtube channel provided that the video actually belongs to you. TopBuzz would verify that to prevent copyright issues. login to your account using a laptop or desktop computer.In some cases your mobile phones, tablets or iPads might come in handy. When logged in to your TopBuzz account, click on the pencil icon and select the type of content you would like to upload. After you’ve uploaded your desired content, hit the PUBLISH button and your content goes LIVE!! Personally, I create my articles myself. And when I use several softwares and applications like Instasave on mobile and Internet Download Manager on PC to download funny videos from Facebook, Instagram, and the internet before uploading them to my TopBuzz account..
To download videos from Facebook, simply copy the video URL and visit Fbdown, paste the link on the download bar and click on download. You have options of choosing your preferred video quality. Alternatively you can use this website Savefrom to also download videos from Facebook for free. You can also download videos from other sources like; Youtube, Vimeo, Screen Junkies, My Space e.t.c. However, most of these platforms have disabled downloads from their website. But you can still download from these websites by using video download softwares of the websites I talked about earlier. I will recommend a software called Internet Download Manager (IDM) on PC and Wondersoft(download the premium version here for free). This is so stupid, why her? WTF, this is simply unbelievable. 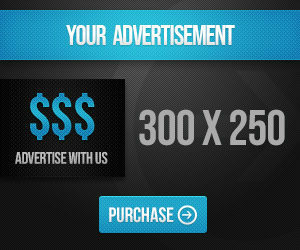 Use paid or targeted traffic. You can advertise your contents by targeting tier 1 countries like the USA or Canada using Facebook or Instagram Advertising. To find out trending niches and contents, use the TopBuzz app and refresh it regularly to see what’s trending, then post similar contents.